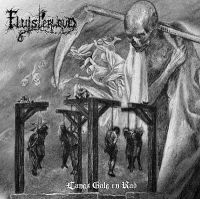 Fluisterwoud is a black metal band from the Netherlands. They were founded in 1997. Before Fluisterwoud released their first album (Langs galg and rad) in 2003, they recorded a demo in 1998 (Een sinster schouwspel...) with another vocalist. They also released two split-albums. 'Black metal terror over London' in 2004 with The One, Niroth and Goat Molestör and another one wich was supposed to be released in 2005 with Sauron. The band has stated that they will disband following a final tour after the release of the second full-length album titled "Laat Alle Hoop Varen" (Abandon All Hope).